These Philadelphia-area fitness pros have mastered the art of waking up for early morning workouts — here are their tips and tricks. By Bailey King·	 3/12/2018, 8:00 a.m.
Raise your hand if you love to sleep. Okay, now raise your hand if you love waking up for early morning workouts. We’re going to take a guess that we lost a few people on that second one. And rightfully so: Sleep is ah-mazing and getting the motivation to leave a warm bed to work out can be darn near impossible. Despite the fact that many of us hate the thought of leaving our beds in the morning, early-to-bed and early-to-rise is an undeniable trend in our Sweat Diaries — you know, our peek into a week in the life of local fitness pros. 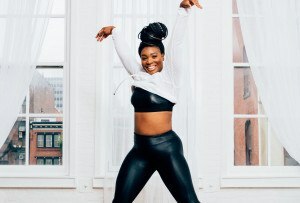 Because Philly trainers all seem so well-versed in the art of waking up at the crack of dawn, we asked eight local fitness pros to share their tips for waking up early. And just in case you think this isn’t for you, we’ll let you in on a secret: Some of these pros aren’t morning people either. If they can do it, so can you. Read on for 14 tips to crush your next morning workout. “I changed my alarm recently from Beyonce’s ‘Drunk in Love’ to Meek Mill’s ‘Ima Boss.’ I’ve been hustling at work, and I like to wake up reminded that I’m working hard for a purpose. You may have a partner who doesn’t appreciate a lyrical-affirmation alarm, in which case you can skip the song that gets you into your mindset and just start repeating the good stuff in your head. You have to wake up with intention, so remind yourself the moment you wake up (and while you drink water — always a glass of water before coffee) why you’re making moves in the dark before the rest of the world. It’s because you want to be strong, you are a badass, and strong badasses get up and work out in the dark — they don’t sleep in!” — Jessica Sullivan, Body Cycle Studio. Keep your alarm at a distance. “Something that really helps me is getting up to turn off my alarm. I have an actual alarm clock (I know, what does an actual alarm clock even look like? ), not just my phone, that I set every night while I’m prepping my clothes and bag for the next day and put on the complete other side of my room. That way I have to get up to turn it off. Turn your alarm off and turn on all the lights and some music! I used to be terrible in the mornings and this trick has really helped me!” — Alex Fluharty, Solidcore. “Once you turn that alarm clock off, turn on the lights, and MAKE YOUR BED! I know, I sound like your Mom, but if you spend the minute or two that it takes to make your bed, you start to move around and get your blood flowing, plus you’re so much less likely to crawl back into it! And then of course once your bed is made, COFFEE.” — Alex Fluharty, Solidcore. “The night before an early workout, I always get all of my outfits ready. I work out/teach multiple times a day, so I have to change two to three times throughout my day. This way, when I wake up I don’t have to waste a single second thinking about what to wear. It’s dark and most of the time I am just trying to not put anything on backwards (or inside out, like I did this morning with my hoodie).” — Shoshana Katz, BPM Fitness. Plan every minute of your morning. “The longer my to-do list is in the morning, the harder it is to get out of bed. I have my workout clothes ready to go, down a glass of water while waiting for a K-cup to brew, and then I’m on my way. Since my eyes are still halfway closed at this point, what also helps is creating a morning playlist to wake the senses while also getting you focused for your workout.” — Jordan Hankins, The Fit Complex. “A great way to make waking up early easier is to have friend, or network, to keep each other accountable. While it may be easy to talk yourself into hitting the snooze button and staying under your warm blankets, if you’ve already given your workout buddy your word that you’re going to meet up for that 5:45 a.m. sweat session, it’s an incentive to get up and get moving or you risk a barrage of playful-yet-serious ‘thanks for standing me up, PAL! '” — James Taulbee, Fire for Effect Athletics. Find a workout that makes you actually want to wake up early. 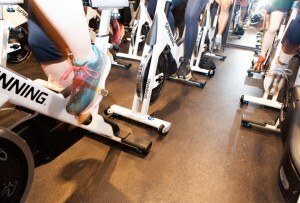 “If the 5:30 or 6 a.m. workout isn’t fun, you’re way more likely to hit snooze and pay your cancellation fee. Find a trainer you look forward to seeing, or sign up for a class with amazing energy/music/coaches (Body Cycle Studio Motivation Mondays at 6:30am, anyone?). If you’re bored with your workout, it’s not going to feel worth a walk in the dark to get there. Find a gym you love. Bonus: you can double down on the fun factor by getting a friend to hold you accountable. Even if the workout is fun, you’re way more amped to go/scared not to if you have a friend going too!” — Jessica Sullivan, Body Cycle Studio. Or, start your day with something else you’ll always look forward to. “Obviously, this doesn’t mean ‘start loving fitness overnight,’ it means you should try to find something you love to do at any time of day, and do that first thing in the morning while your body turns on. I wake up at 5 a.m. every morning, drink two cups of coffee, and play a game of Madden on mute while listening to NPR — it’s one of my favorite parts of the day. When I leave to workout at around 6 a.m., I’m fully awake, ready to perform and didn’t have to drag myself out of bed.” — Tom Wingert, City Fitness Exec. and fitness-lover. Or, start your day with something you have to do. “You’ll feel accomplished before most people even wake up. For me, this is when I make my playlists for class. Most mornings this is between 3:30-4:30 a.m.! I am a perfectionist, so I’ve found that giving myself exactly enough time to do my playlists makes me jump right on it and own it (and not spend five hours doing each one).” — Amandah Povilitus, Flywheel. Don’t be afraid to hit the sack early. “Anything is difficult the first time you do it, but if you start getting into a flow, everything becomes easier and then — whoa — you’ll start getting real tired at like 9:30 p.m. and be able to fall asleep for a full-night of sleep before that pre-dawn workout the next day.” — Tom Wingert, City Fitness Exec. and fitness-lover. Ditch your phone at night. “No matter what, I wind down by 10 p.m. every evening. I don’t care how late I’ve worked — I’ll skip dinner before I’ll go to bed at 11 p.m. during the week. I start turning off screens (I know, there’s always one more email you want to get to) and either read a book or spend some quality time snuggling my pet bunny, Kevin. Social media and emails in the evening are the worst things you can do for your sleep. As the energy from my day falls away, I close my eyes and go over things I am grateful for until I fall asleep. This is the best sleep you’ll get, and waking up feeling rested is half the battle at 5 a.m.” — Jessica Sullivan, Body Cycle Studio. Prioritize the time you’re at your best. “There’s nothing better than working on your fitness first thing in the morning. I recently took an inventory of my day-to-day and found that I am the most productive in the mornings, and I believe it is because I can filter through the day’s expectations with clarity before anything (including myself) gets in my way. 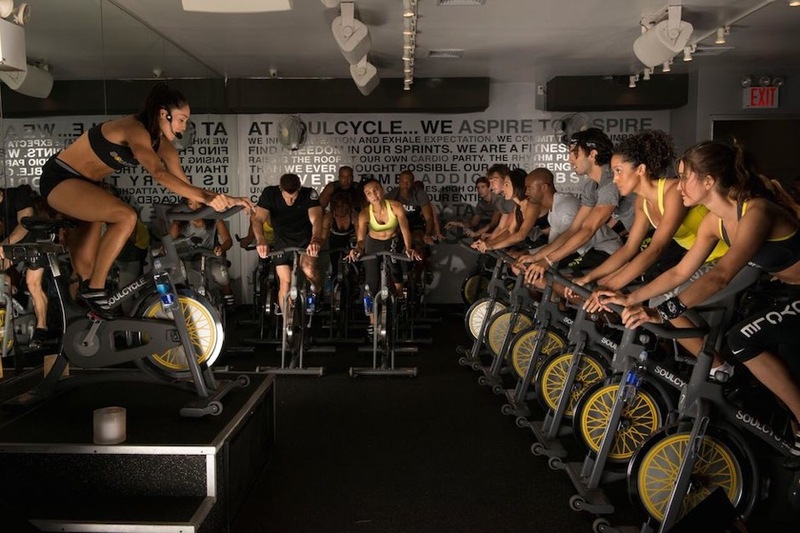 The buzzwords we hear today when people describe their professional lives are ‘overwhelmed,’ ‘too busy,’ and ‘stressed out.’ I encourage everyone to make fitness a morning priority so it is something you achieve before those buzzwords leave your lips for the first time that day.” — Ryan Lewis, SoulCycle.